Twinkling LED ceiling lights together with a pendant chandelier in the Modern Universe panel give flexible options for lighting your room. 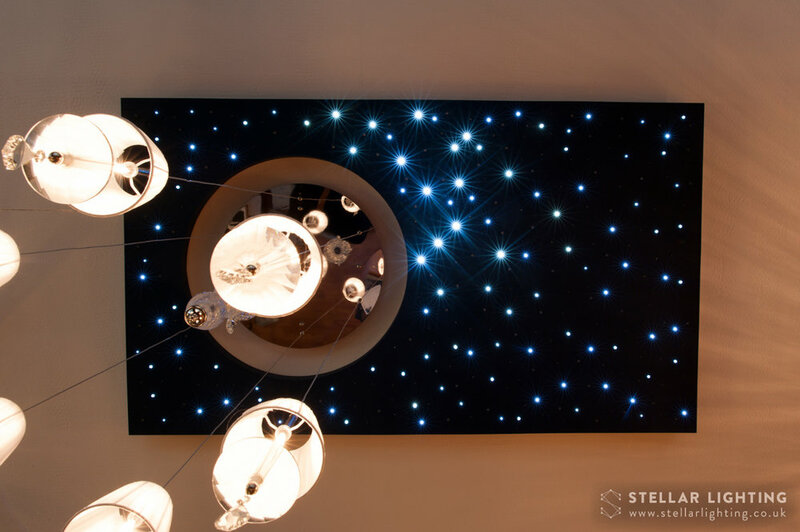 This panel offers you a piece of the of the night sky with twinkling stars and the sun represented by the asymmetrically positioned chandelier suspended from a round mirror surfaced bracket. It features a starlight area, plus six pendant lights. Main lighting and the twinkly area can be controlled using the remote controller provided.